Call or Email us to let us know “exactly what you need”. Are you looking for a Security Officer for an event? Are you looking for a Security Officer to be stationed at your business or residential property? Are you looking for a “Mobile Patrol Service” for your business or residential community? Not sure about Mobile patrolling? Maybe a trial temporary patrolling? Does the Officer need to be “Armed” or “Unarmed”? Will a Patrol vehicle be needed? Just click on the links below and it will take you to the type of service you may need. Selecting a service can be difficult, however, we made it easy for you. When selecting the type of service you need, it is important to be thorough in explaining your problem to us. We don’t want to price a service that you may not need. Also, we don’t want to price a service that will not be “effective” for you thus causing you to waste your money and lose faith in our services. Here are the types of Security Officers we offer. All can be with or without a patrol car. We try to be thorough in explaining so our customers get exactly what they want. Uniformed Armed Security Officer: An officer who carries a weapon for protection against violent crimes or attacks. We prefer to send all our officers “Armed” for our own protection at a minimum. Police officers walk around Armed for their protection and to stop a violent crime. Our officers should be afforded the same chance to protect themselves if a violent crime happened on your property. Uniformed Officers usually catch the eye of someone real quick and this causes a quicker “deterrence”. Uniformed Unarmed Security Officer: An officer who would carry a “less than lethal” means of protection such as a Taser, Stun gun or OC Pepper Spray. Uniformed Officers usually catch the eye of someone real quick and this causes a quicker “deterrence”. Plain Clothes Officer: A detective in a way. This is when our officer arrives in the type of clothing you request. He can have his weapon Open Carry (showing) with a badge exposed or Concealed (Not showing) with badge in wallet. Concealed is usually for surveillance, loss prevention as a store detective, body guard and any other situation where you wouldn’t want Security to stand out like a sore thumb. Armed or Unarmed. Patrolling: Usually if a patrol car is being used, the officer must be in a uniform that distinguishes him as someone that is able to enforce the laws on the property they are paid to protect. If requesting a patrol vehicle, it must be marked like ours. Security vehicles used on your property or in a neighborhood for mobile security cannot be unmarked, they must be clearly lettered to show “Security”. Armed or Unarmed. 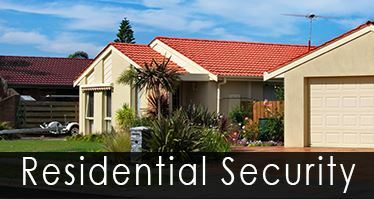 If your not sure what type of service you need, you can always call or email us and we will be glad to recommend a service that is “effective” and “affordable” for your security needs. This is when we would visit your neighborhood or business property in our patrol vehicle and patrol the area you select. It can be a 15 minute visit, 1 hour or as long as your budget will allow. This service is very effective to show a security presence as we visit every day or night…depending on the scheduling you choose. A neighborhood benefits with this program having our officer circle the community a few times. It sends the message that someone is watching your back. Smaller communities can get away with a daily 30 minute drive thru as larger communities may need 1 – 2 hour daily visits. Day and Night / Weekends and Holidays. A business benefits with this program because we visit every day or night and at different times. Even the bad guy is smart enough to figure out that he would rather go somewhere else to plan his criminal activities. Day and Night / Weekends and Holidays. An option you would select when you want an officer to stand guard at your store, operate your gate at your community, walk along the perimeter of your property. This option is usually without a patrol car and you just want the officer. Armed, Unarmed, Uniformed or in Plain clothes. The Mobile Security programs listed above can be altered to have the Officer get out of the vehicle and do gate and lock checks as shown here in the video. When doing your research on what company is going to bring their “A” game, ask our competition these 3 simple questions. Will your officer have a patrol car on-site? Or will he arrive in his personal car? Is there a minimum of hours I will have to use to contract your services? Did the price you quoted me include an armed officer and a patrol car? Was there as many options for security as SC Private Security offered? Are the insured? In SC there is NO law saying a Security company has to have insurance. It is real important to know what you are getting when you sign on with a security company.